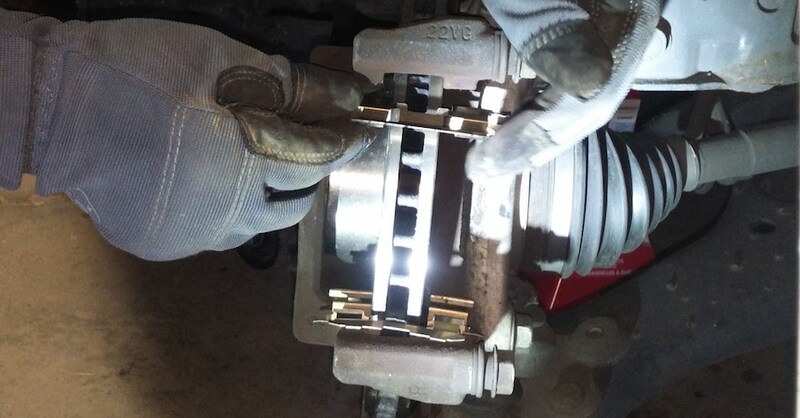 When rebuilding an engine, there is nothing more critical than getting the bearing clearance correct. 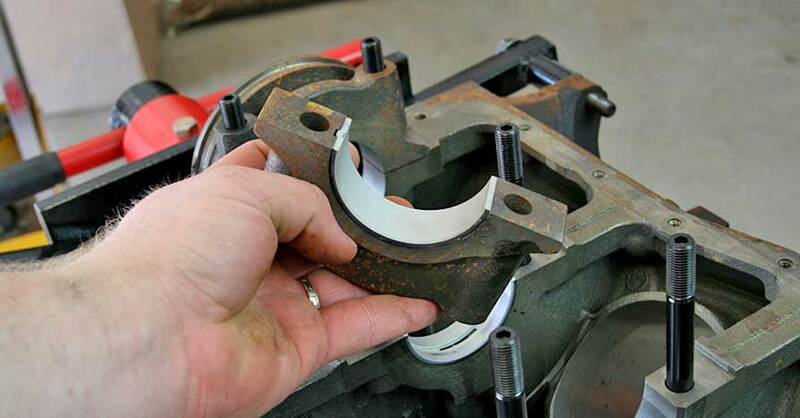 Every engine has its own bearing clearance specs, but the measuring procedure does not change. There are two main methods used for checking bearing clearance – Plastigage® or gauges. 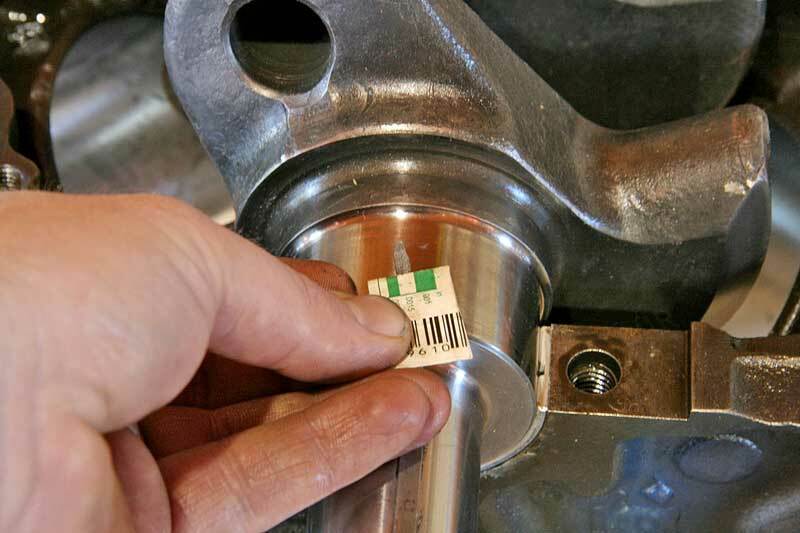 Plastigage® has its place, as it serves a purpose for backing up and verifying your bearing clearances. Plastigage® is a special plastic that expands a specific amount when squeezed. Sold in sleeves of threads for specific thickness ranges, Plastigage® works really well in situations where the components are not being completely removed, such as in-engine bearing replacement, and other non-automotive uses. 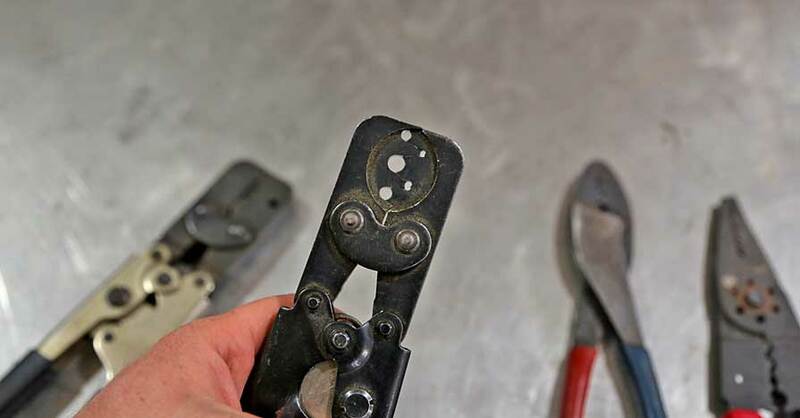 Originally put on sale in 1948, Plastigage® is fairly accurate and the method of choice for many DIY enthusiasts. Plastigage® is quite useful, so don’t automatically throw it out. 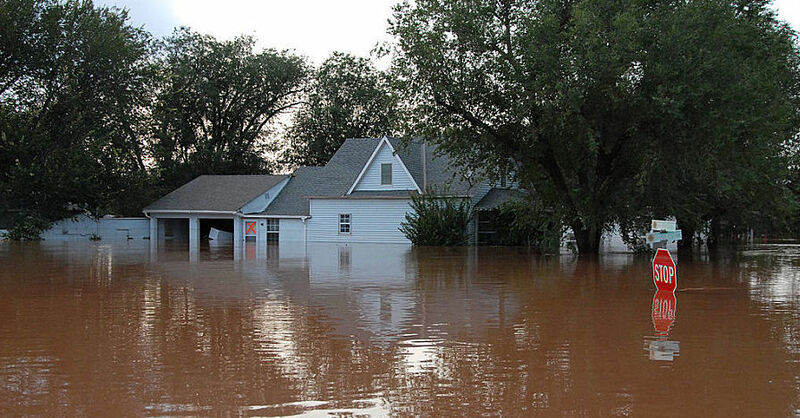 It is a good way of verifying your measurements. 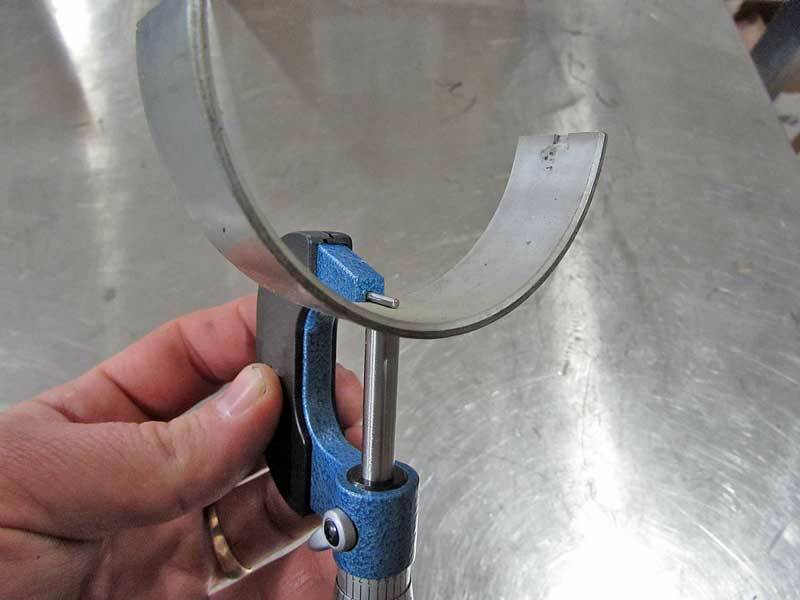 In reality, the right way to check bearing clearances is with the proper tools. In order to check the clearances for rod and main bearings, you need a set of micrometers and a dial-bore gauge. These are readily available at budget prices, but if you are going to use them a lot, better quality tools are advised. This looks like a horseshoe with a round handle attached to one leg. 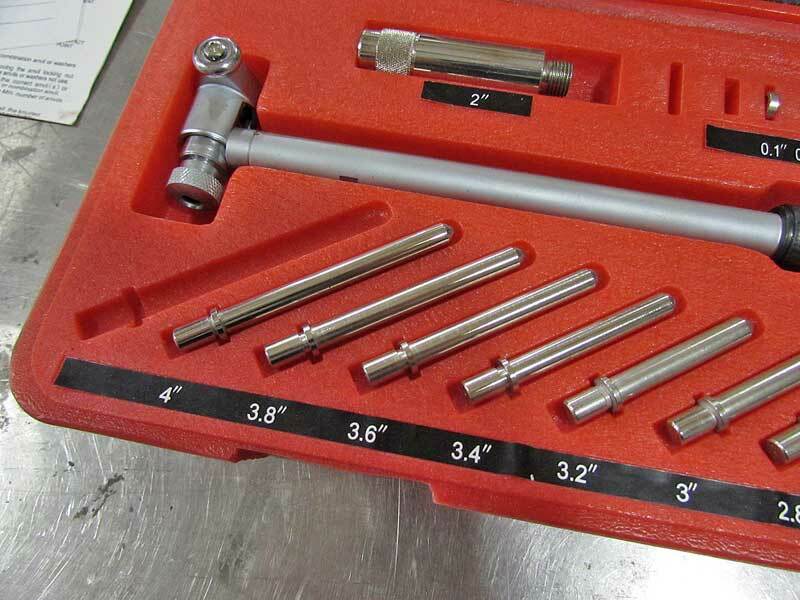 Micrometers typically only adjust 1”, so you need multiple sizes to get the job done. A 1-6” set usually has the sizes you need for most jobs. This a complete micrometer set that will cover just about anything you could need for automotive work. This tool uses a dial indicator on a post with a small wheeled measuring apparatus. These are adjustable through graduated post extenders that increase the diameter of the measurement circle. 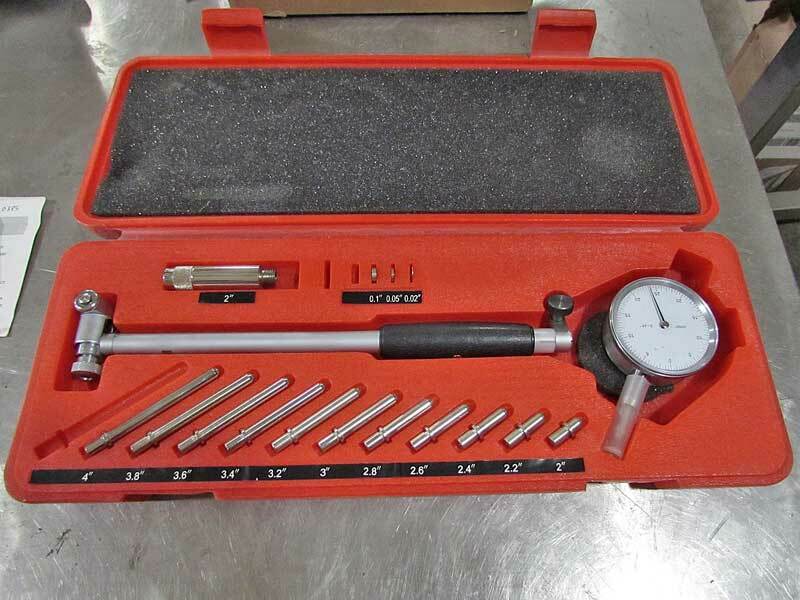 The dial bore gauge measures the inside of round holes, such as the bearing journals. 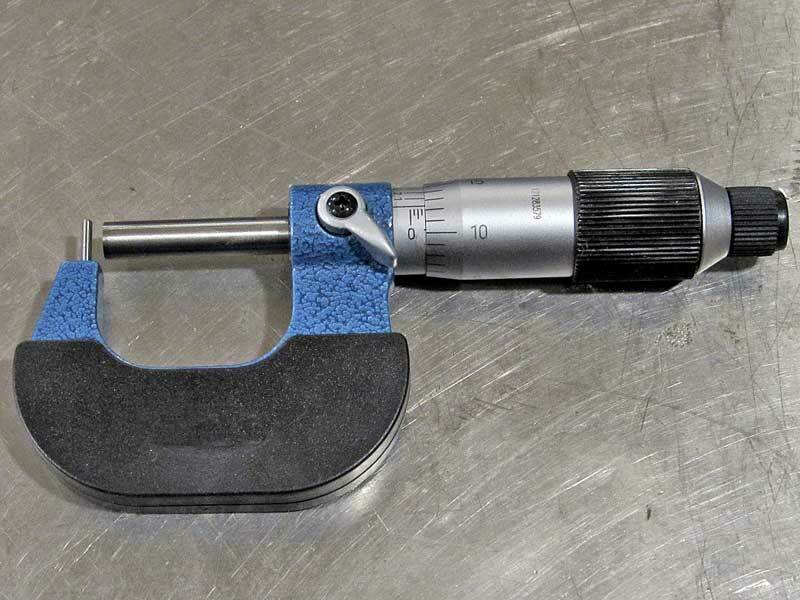 This one tool can measure 2″ up to 6″ diameter holes. 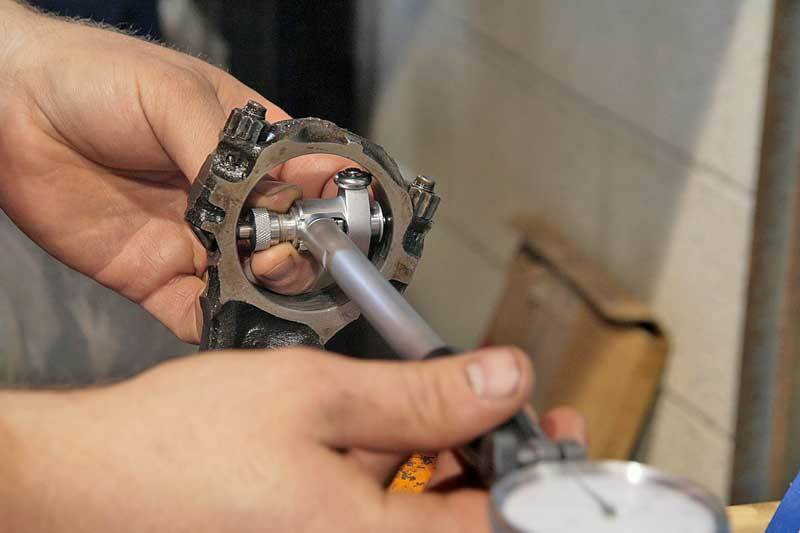 Both tools are needed in order to check the interior and exterior dimensions of the crankshaft, rods and engine block journals, as well as the thickness of the bearings themselves. Making all of this happen can be tricky, so here are a few tips to help you work through the process. Using a micrometer means following a couple of rules. 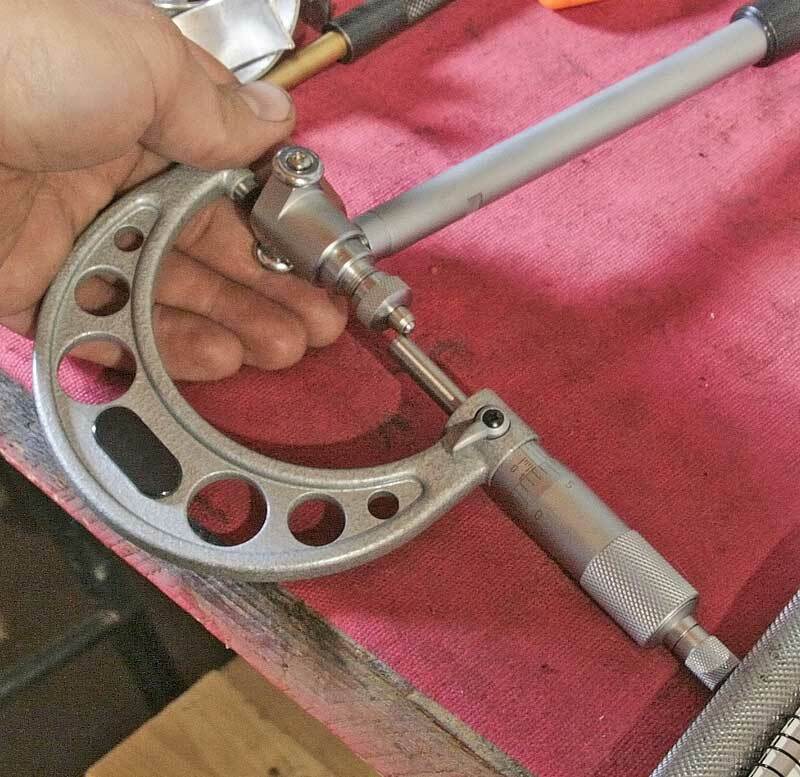 The key to a micrometer is not to tighten it too much. There are two knobs – a large knob and then a smaller one. The smaller knob clicks when the micrometer is in contract with the part. DO NOT use the larger knob to tighten the mic onto the part as this can damage the tool. Reading a micrometer can be confusing, they are graduated differently than rulers. The inside barrel is marked in .100” (large) and .025” (small) notations. Once you reach those marks, the scale on the thimble (large rotating knob) comes into play to get the finite measurements. The thimble is scaled in .001 divisions from .000 up to .025”. The hash marks are how you read micrometers. It takes some practice, and unless you use them daily, you will forget over time. Just be patient. These are fairly simple, just choose the micrometer that covers the range needed and measure. It is a good idea to check the part in three different locations, staying away from the oiling holes as they can throw off the measurements due to the chamfers. 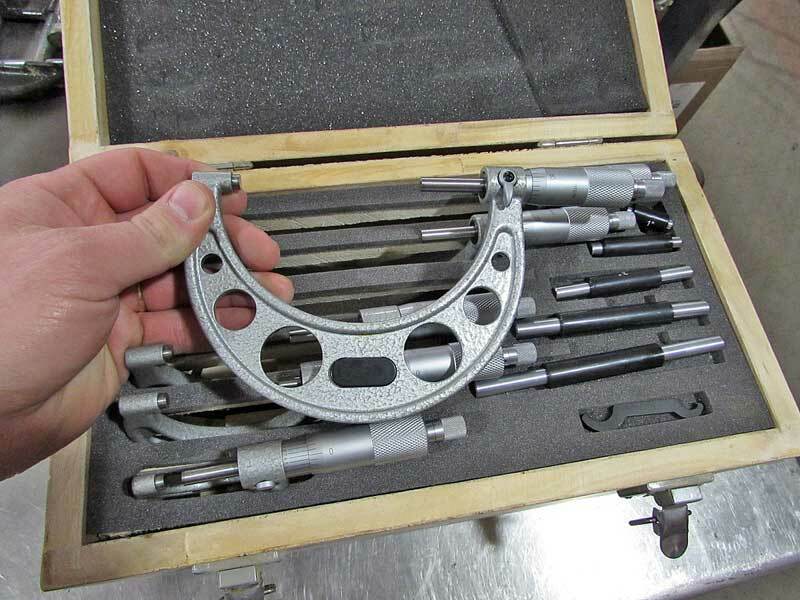 Even though bearings are flat enough, they cannot be accurately measured with calipers, instead you need a micrometer. There are special micrometers available for measuring round inside surfaces, but you don’t have to have one of those. Instead, you can use the shaft of a drill bit (good quality, and use the smooth part, not the fluted section). Place the drill bit on the inside curve, and then measure the bearing. Subtract the thickness of the drill bit (measure, don’t assume), and you will have the thickness of the bearing. An tube mic is useful for measuring bearings and over inside-curved pieces. In a pinch, you can use a drill bit or pushrod and an outside mic. This is how bearings are measured. DO NOT use calipers, you can easily scratch the babbit material and ruin the bearing, plus they are just not accurate enough. 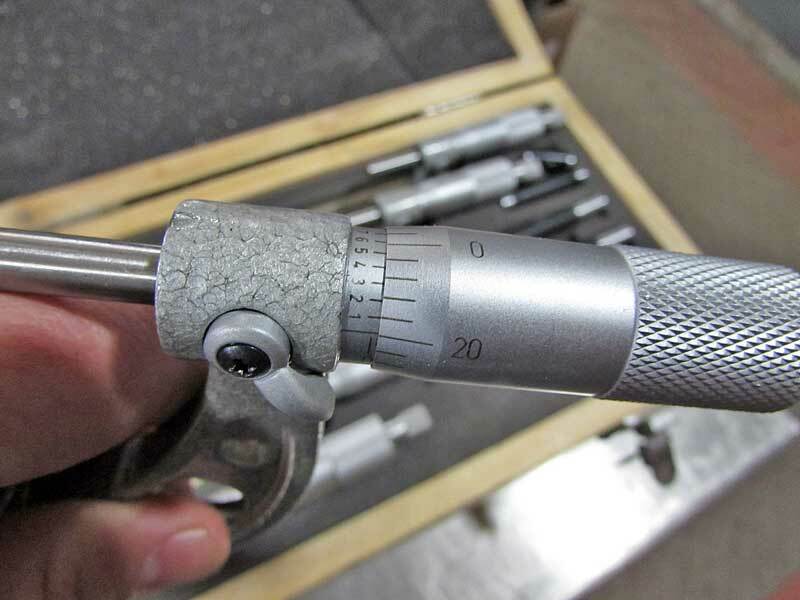 Setting up a dial-bore gauge requires using a micrometer. You need the base measurement of the bore, rough is enough. Set the gauge to just over the diameter, using the correct extensions. Set the micrometer to the bore size you need, then place the gauge between inside the mic and rock the gauge back and forth, and side to side. Note the minimum reading, and zero the gauge to that reading. With the dial-bore gauge set to the correct size, place the gauge inside the journal or rod end and rock the gauge back and forth and side to side, just like the setup process. Note the smallest diameter, that is the size of the journal. Just like the outside measurements, take the reading in three different places. 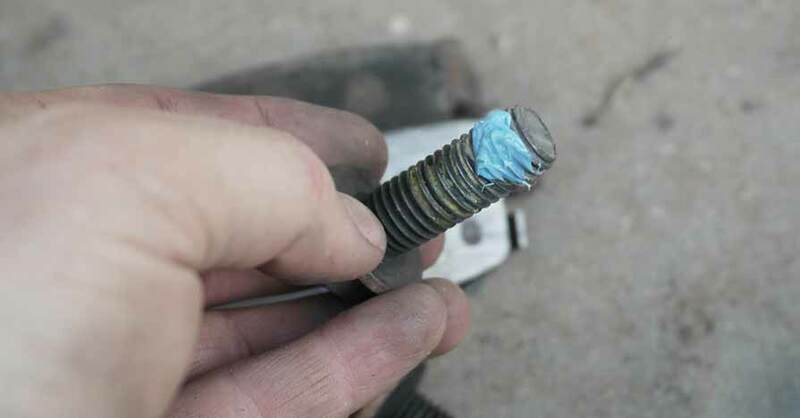 One note – the bore must be as it would be in use, so torque the caps to their correct specs and they need to be clean, no oil at all. Place the gauge inside the journal and move it slowly till you find the largest measurement. Take readings in three places. By now, you will have the specs on the crankshaft mains and rods, the journals for both, and the specs on the bearings. Subtract the crank spec from the journal spec, and then subtract the bearing spec from that result. This figure is the clearance. Bearing clearance depends on the engine and the intended use. Stock street engines usually run tighter bearing clearances, while high-performance engines run a little loose. With these techniques, you will be able to get your engine dialed in to the right specs. Check out all the engine parts available on NAPA Online or trust one of our 16,000 NAPA AutoCare locations for routine maintenance and repairs. For more information on how to measure engine bearing clearance, chat with a knowledgeable expert at your local NAPA AUTO PARTS store.